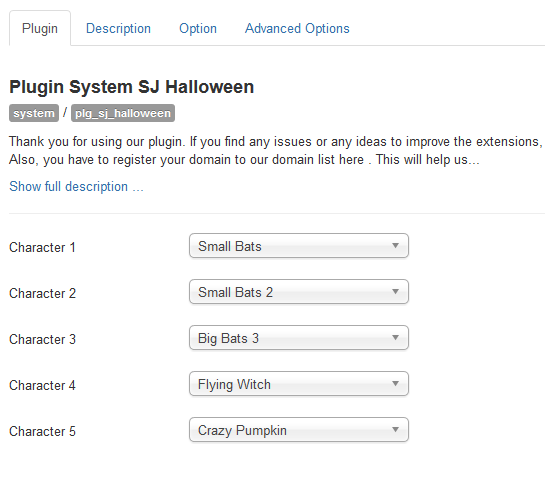 This guide will help you install Plugin System SJ Halloween step by step. Now go to Extensions -> Plugins Manager, click Select Type box and choose the module you have installed. Character 1, 2, 3, 4, 5 – Allow users to choose characters which will be displayed on the frontend. Time cookie – Allow to set time of cookie (with unit of second). Time on banner -Allow to set the time displaying popup (with unit of minisecond ). Time off banner -Allow to set the time off popup (with unit of minisecond ). Hide character – Allow to show/hide character. Show Close Button – Allow to show/hide Close button. Show Banner Small – Allow to show/hide Banner small. Css Popup – You can customize CSS for small/large banner to show content as the way you want. Place holder for Banner Large – Allow to set place holder for banner large. 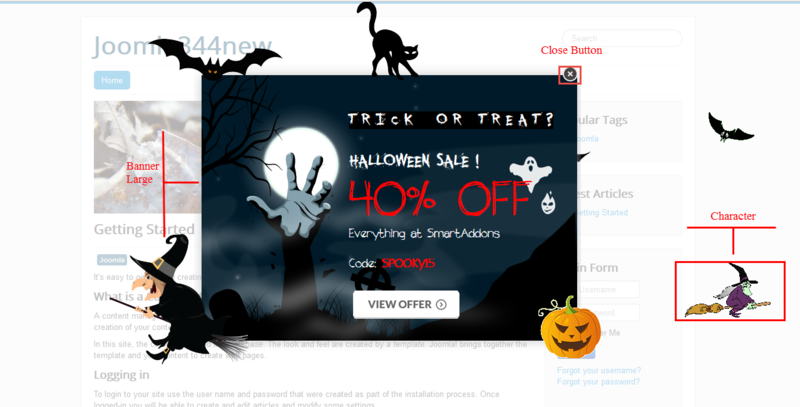 Link – Allow to set Link for class sj_halloween_link in param Content Halloween. Width Banner Large – Allow to set width of image. 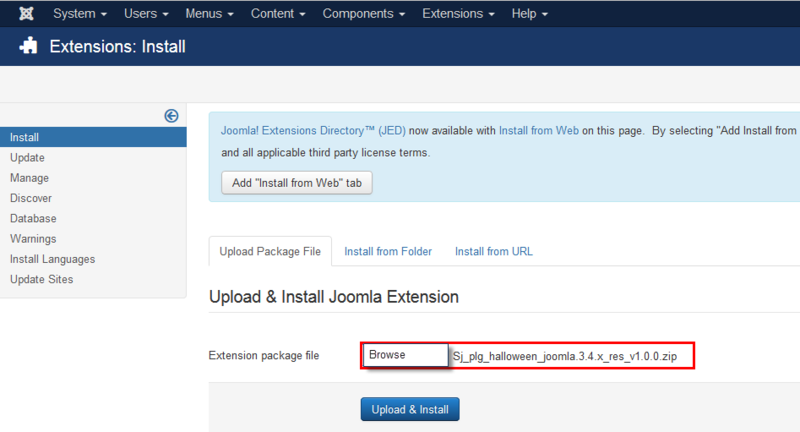 Content Hallween – Allow to set content which will be displayed on the frontend. Place holder for Banner Small – Allow to set place holder for banner small. Width Banner Small– Allow to set width of image.